Kolkata, 21 March: PERSONNEL of the Indian Army and their Bangladesh counterpart are all set to embark on a 500 km cross-country cycling expedition to celebrate the growing military collaboration. This is for the first time in recent times that the armies of the two countries are organising such an event. The cycling expedition would be flagged off tomorrow 22 March from Tripura capital Agartala by Lt Gen A S Bedi, GOC of Gajraj Corps. As many as 30 officers and men of the Indian Army, and Bangladesh Army would participate in the 14-day expedition. 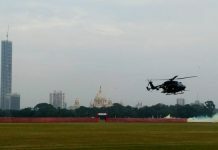 On starting from Agartala, the expedition would traverse through the major cities of Bangladesh such as Comilla, Dhaka, Faridpur, and Jassore, before culminating in Kolkata on 04 April Tuesday. 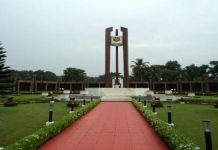 During the expedition, the joint team would visit various historical sites associated with the Bangladesh Liberation War of 1971.